Aim: To combine data from several tables. 2. Demo: Use the WHERE clause with two tables. 3. Task: List the employee names and the location of their department. 5. Task: List the employees who earn over 1000 per month with their department names. 7. Task: List every employee by name with their monthly salary and salary grade. 8. Demo: Table aliases - 1. 9. Demo: Table aliases - 2. 10. 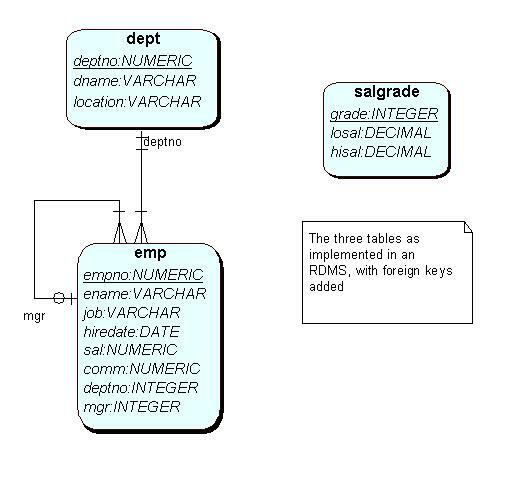 Demo: Table aliases - 3. 11. Task: Show the employee name and manager name for all employees in department 20. 12. Demo: Related data in more than two tables. 13. Task: Show the employee name, the manager name and the manager's department name. 14. Task: Show the employee name, manager name and the department names of both. 15. Task: Do managers manage staff in different department?